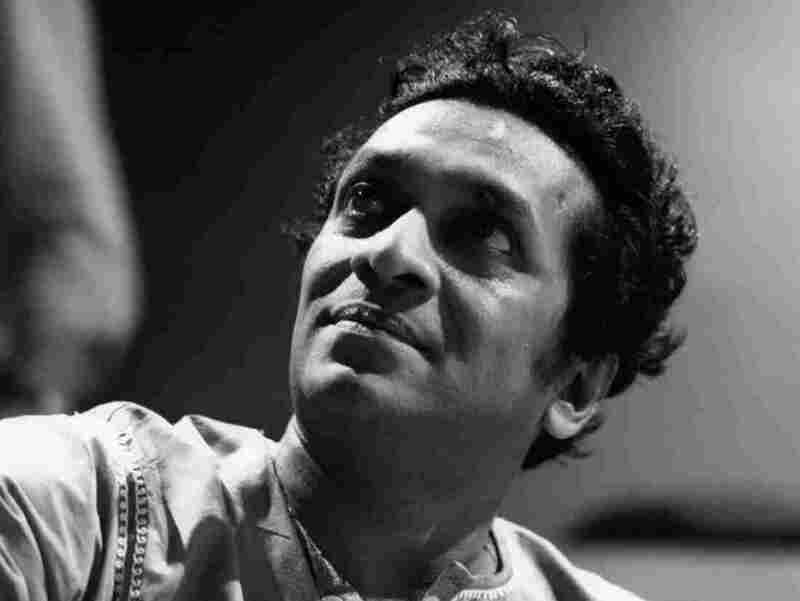 Ravi Shankar, Who Brought Eastern Music To Western Legends, Dies : The Record When he was just 10 years old, Shankar began performing in Europe and the US with his family's Indian dance troupe. But at age 18, Shankar gave up all the glitter to study with a guru who taught him the sitar. He became a master, and introduced the West to his country's music. Ravi Shankar circa 1960 in the U.K.
Sitar master and composer Ravi Shankar died Tuesday at a hospital near his home in the San Diego area. Shankar's foundation released a statement that says the musician had suffered from upper-respiratory and heart issues over the past year and underwent heart-valve replacement surgery last week. He was 92. When he was just 10 years old, Pandit Ravi Shankar began performing in Europe and the U.S. with his family's Indian dance troupe. It was a glamorous life: the best hotels, the best meals, celebrities coming backstage to say just how much they'd enjoyed the concert. But at age 18, Shankar gave up all the glitter and went back to a dusty little town in India to study with a guru who taught him the sitar. He apprenticed for years, then started to play in public on the ancient and difficult string instrument. Eventually, he became a master. Shankar's music is like a fine Indian sari — silken, swirling, exotic, it can break your heart with its beauty. He was a respected classical musician, but in 1966 he became an international superstar when George Harrison studied with him. Shankar's goal to make Eastern music known in the West was achieved with help from The Beatles, though he grew discouraged by the hippie scene, where drugs clouded the attention of his audience. Back in India, Shankar wrote sitar concerts for Western symphony orchestras and continued touring. The composer and performer remained a teacher, too. In December 2004, when I visited his home in New Delhi, the sitar master was still giving lessons. He sat on the carpeted floor in an old brown sweater vest playing simple exercises; his sitar filled the room with feeling. "[This music] is a combination of shanta and karuna, which means tranquility and sadness," he said of the piece he was playing. "This sadness is ... like wanting to reach out [for something] and not finding it, whether for a lover or for God." Shankar's music reached out to some of the West's finest musicians. Violinist Yehudi Menuhin and composer Philip Glass were friends and collaborators. One of today's top pop stars, Grammy winner Norah Jones, is Shankar's daughter. Another daughter, Anoushka, learned sitar from her father, and now takes his classical tradition and makes it more contemporary. Shankar once said he felt ecstasy when he made music — the world was erased, and he experienced great peace. His music embraced and lifted those who heard and loved it, his widow, Sukanya, his daughters and his many fans.